Good morning and happy Easter Monday, friends. Kelly invited me over for a chat, so I am spending the morning with her, discussing how I get my ideas, what type of books I write, and myths I believe real. 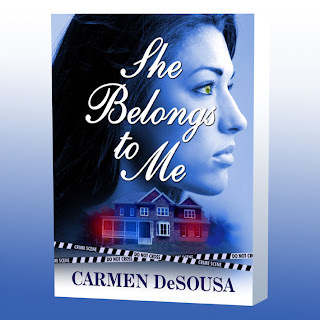 Please stop by, and if you’re are interested in reading my current romantic-suspense, She Belongs to Me, simply leave a comment, and I’ll have Kelly do a random drawing Wednesday of all commenters and send the winner a complimentary copy. I look forward to meeting and talking with you all. Thanks, Carmen! It was a pleasure.